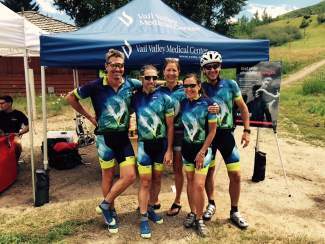 Vail Valley Medical Center is proud of its 11 team members who rode in the SOS Outreach Colorado-Eagle River Ride, sponsored by the hospitalâs Howard Head Sports Medicine. Congratulations to the medical center and all the riders who participated in the 42-mile, 68-mile and 100-mile road rides, as well as the new 17-mile mountain bike ride. It was a beautiful day with funds benefiting a great cause.